Pharmaceutical Delivery has established a long-standing reputation for having some of the most flexible and affordable medical courier services in California, Utah, Nevada, and Arizona. Clients of the company rely on Pharmaceutical Delivery for prompt, legal, and safe delivery of nuclear medicine as well as other medical products. The team at Pharmaceutical Delivery understands that the medicine the company is entrusted to deliver isn't just a product. For the patients who rely on that medicine, it's life. Pharmaceutical Delivery takes this responsibility very seriously, and that is why customers come back to the company time and time again. Clients have learned that they can trust Pharmaceutical Delivery's integrity, professionalism, and dedication to quality. 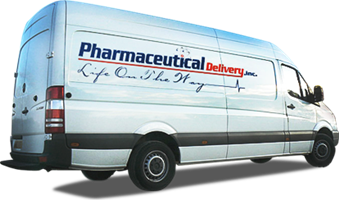 The company's 25 years of experience have helped Pharmaceutical Delivery guarantee the lowest prices in the medical courier market. Pharmaceutical Delivery also offers one of the widest ranges of delivery options. The company is happy to schedule deliveries on weekends and holidays at any time of the day or night. This is because Pharmaceutical Delivery understands that when clients need a hospital delivery, a lab delivery, a pharmacy delivery, or any other kind of medical delivery, time is of the essence. When a person's health hangs in the balance, Pharmaceutical Delivery is ready to do what it takes to get the delivery where it needs to be as soon as possible. By specializing in nuclear medicine, Pharmaceutical Delivery has shown its customers that the company has a unique and extensive knowledge of the products which the company is entrusted with. Unlike general medical courier companies, Pharmaceutical Delivery is able to approach nuclear medicine delivery with a unique knowledge of the applicable laws and regulations, the necessary critical time frames for delivery, and proper handling. In addition to around the clock deliveries, Pharmaceutical Delivery's customer service representatives are available twenty-four hours a day, seven days a week to answer customers' questions, schedule deliveries, and resolve any issues. The company prides itself on taking the time to train its customer service representatives regarding the policies of the company, the nature of the medicines that are being transported, and professional courtesy. Contact Pharmaceutical Delivery today to find out more about the company's customizable delivery options for hospitals, pharmacies, labs, radio pharmaceutical companies, and more. The company's trained customer service representatives would welcome the opportunity to speak with you about your unique medical delivery needs. Remember, Pharmaceutical Delivery services are priced lower and are more reliable when compared to other medical courier companies in California, Utah, Nevada, and Arizona.